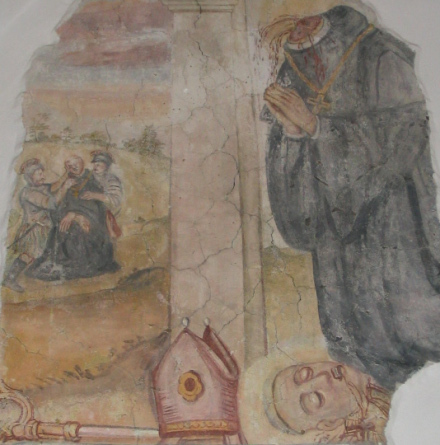 We have the rare privilege this date* to salute 1,000 years since the martyrdom of St. Bruno of Querfurt. St. Bruno — also Brun or Boniface — had his head chopped off, and 18 companions were allegedly simultaneously hung or hacked to pieces, by a chieftain who did not appreciate the bishop’s efforts to Christianize the Baltics. The wherefores, and even the wheres (different sources locate it in Prussia, Rus’, or Lithuania) of this missionary’s end are permanently obscure to us. But this relatively forgotten saint has something to tell us about the fluid area of contact between the Latin and Greek Christian spheres in the decades before their schism. Both rulers hoped to extend their influence among the still-pagan lands of Europe, a secular incarnation of the rivalry between eastern and western rites. is a supreme example of a missionary saint and his activities ranged almost from the Baltic to the Black Sea. Yet despite his activities, let alone his glorious death, he did not receive much praise from his contemporaries and still less from later generations. His subsequent cult was rather circumscribed and was largely forgotten. Precisely because of his ambiguous place between these two competing powers, and because his mission did not conform precisely with either’s policies of statecraft, neither Boleslaw nor Vladimir promoted a cult of Bruno: each realm was uncertain which side Bruno was on, and which side would profit most from his inroads among the pagans. * February 14, 1009 is also cited as a date for St. Bruno’s martyrdom — for instance, by the Catholic Encyclopedia; the source of this may be the chronicle of Thietmar of Merseburg. In the absence of a determinative reason to prefer that earlier date, and allowing that 1,000-year-old executions are prone to shaky dating, I’m placing it on March 9 based on the Annals of Quedlinburg. This text, reading “St. 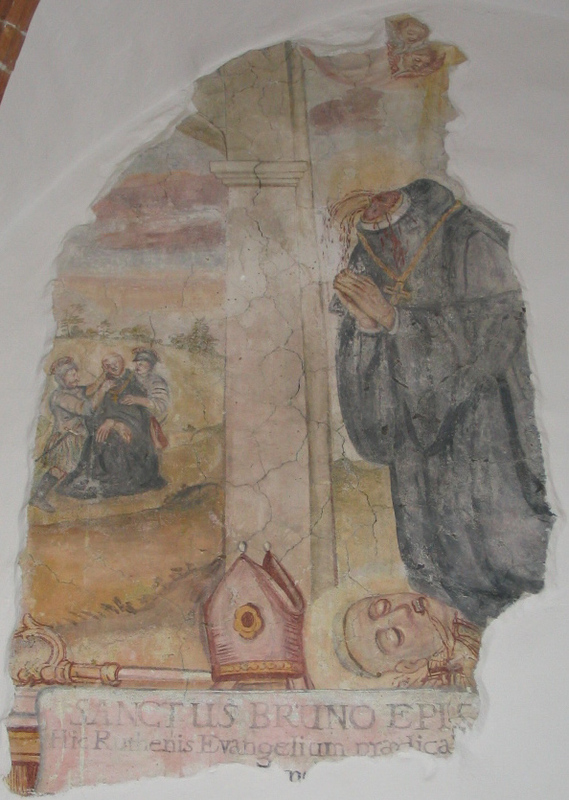 Bruno, an archbishop and monk, who was called Boniface, was beheaded by Pagans during the 11th year of this conversion at the Rus and Lithuanian border, and along with 18 of his followers, entered heaven on March 9th,” also happens to be the earliest surviving written reference to Lithuania. † Vladimir the Great is himself a saint, too — in the Catholic tradition as well as the Orthodox.